A great lightweight alternative to leather hats, the Rogue canvas hats are made from 100% cotton and offer 510g fabric weight for strength and durability. Providing maximum protection from UV rays, the hats are both soil and water resistant and feature large mesh eyelets for cooling ventilation. 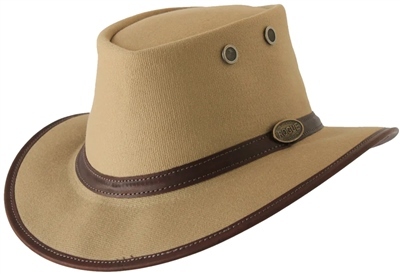 Ideal for any activities involving sunlight, the Rogue canvas hats offer excellent value for money and are great for anything from safarai trekking to simple gardening.